Since Virginian Sky was only approved for the ATA in 2012, his breeding career officially began in 2013. 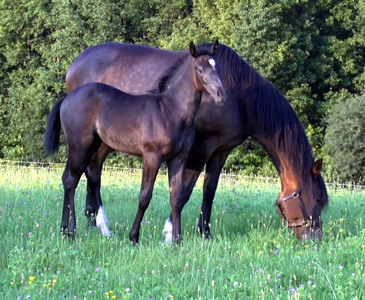 Here, we are presenting his first foals born in the US, the most recent at the beginning of the page. 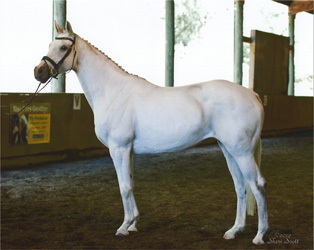 And to help you understand what the stallion brings to the table, we will give you some background on the mare he was crossed with, a conformation shot if available, and some pedigree info. 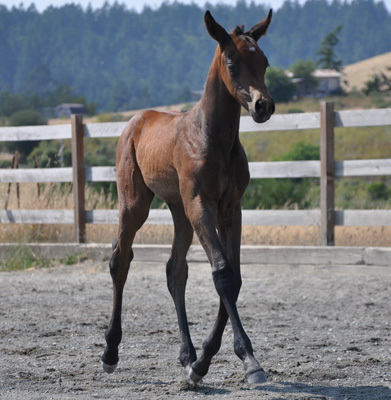 Aptly named "Fire and Eis" in Germany, this filly was bred by Terri Sikora of Starry Night Trakehners in New York. Another outstanding filly in terms of presence, personality and athletic movement - check out the video below and see for yourself how supple and balanced this filly moves. The dam Feuerprinzessin is a very solid Trakehner mare with a good rectangular frame, very balanced movement and great talent over jumps - as did the grand mother Fleury, who competed as Hunter. Congratulations Terri!! "Baby R" is just as beautiful and refined as "Baby O" from last year (see below). 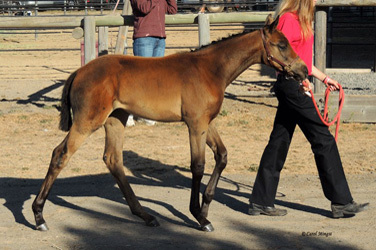 Roxie is a very elegant filly with a fantastic personality - bold, interested in everything new, friendly. She moves very balanced and uphill, and is light as a feather. 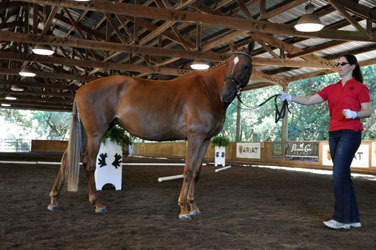 Her dam is a great riding horse, and has proven her ability for upper level work in hand and under saddle. 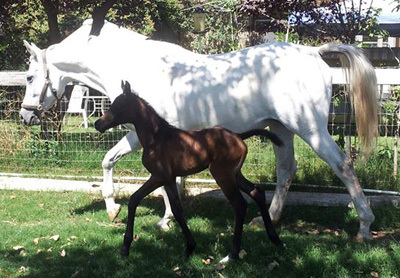 Her bloodlines make this breding a most interesting accumulation of highly proven Arabian blood in the Trakehner breed and we're looking forward to this filly's bright future. This delightful filly was born late in 2012 and impressed everybody with her exceptional temperament (curios, very independent, bold) at her inspection in August. 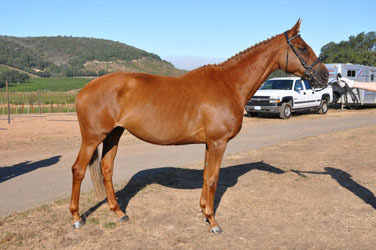 Her dam was first developed as a riding horse and has a specular jump with scope, technique and power. 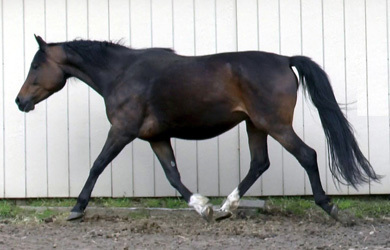 The dam Ovation is a larger mare with a clearly rectangular frame, and a less than ideal hind end formation (open hock angle, flat croup). The resulting filly has none of that, but really won by her compact frame, outstanding hind end conformation and her good movement. 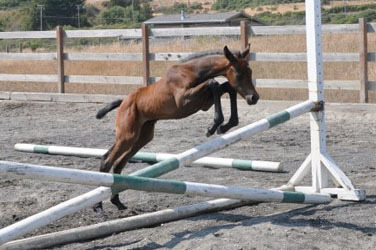 And see the snap shot below when we caught her jumping on her own at barely 3 weeks of age - this form is pretty amazing!